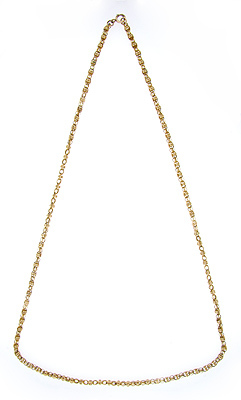 Ornamented, spherical links decorate this art deco 14K yellow gold necklace. The antique necklace is long, measuring 31” in length and each link measures 1/8” in width. Circa: 1920.